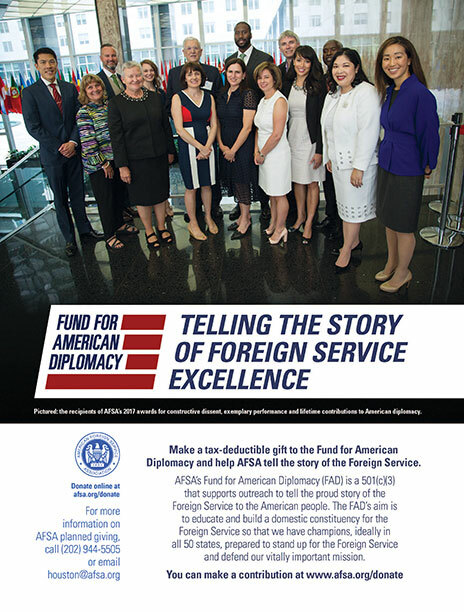 AFSA is the principal advocate for the long-term institutional well-being of the U.S. Foreign Service. In that role, AFSA solicits feedback from you, the membership, on Foreign Service workforce issues such as hiring, retention, professional development and promotions and brings our members’ concerns to management. 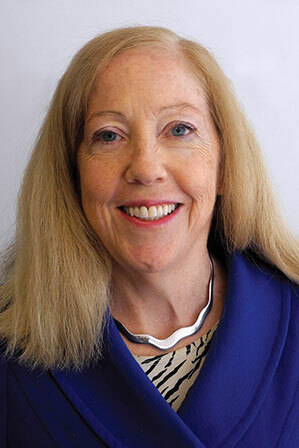 With this new series of columns, we will share with you how AFSA is approaching your concerns. My inaugural column presents the Foreign Service Act and explains the ways it frames for us the Foreign Service workforce today. We welcome your feedback. Please write to nutter@afsa.org. The first few pages of the Foreign Service Act of 1980 contain beautiful, almost poetic language describing what the Foreign Service should be and how crucial it is to the conduct of effective diplomacy. Originally passed to modernize the Foreign Service, and building on earlier legislation from 1924 and 1946, this piece of legislation is the foundational document spelling out the role and structure of the Foreign Service. These words contain the seeds of the up-or-out system, entrance via examination, the tenure system, worldwide availability, professional development, the separation of those who do not advance to the next level and the role of Foreign Service members in formulating and implementing the foreign policy of the United States. These aspects of the Foreign Service are further articulated—often in quite prescriptive terms—in later parts of the Act, along with language calling for the Foreign Service to be “representative” of the United States as a whole. The Act also provides the statutory basis for the existence of AFSA as the sole representative of the Foreign Service. The Foreign Service Act is not just a guide to the functioning and structure of the institution, however. The fact that the Foreign Service has a foundational document gives us direction and a clear role as stakeholders, as stewards responsible for maintaining the health and vigor of our institution. The language of the Act highlights the need for a professional Foreign Service and makes it clear that the Congress of the United States considers a Foreign Service “characterized by excellence” to be in the national interest. AFSA’s mission is to promote policies and practices that strengthen the Service and to further the interests and well-being of our members. A strong Foreign Service is one that has the resources, the leadership and the motivation to live up to the promise of the Act. For that reason, AFSA’s work often focuses on policy measures and other actions that invigorate professionalism, such as protecting the integrity of the promotion process and improving the experience of entry-level officers so probationary assignments provide a meaningful basis for judging whether career status should be granted. Much like the U.S. Constitution, the Foreign Service Act can serve to protect the institution, to set a standard, to lay down our rules and to be an inspiration. We have used it again and again to preserve the Foreign Service as a professional body that produces high-performing members, responsive to the foreign policy needs of the United States. It is a reassuring presence. So take a look at the Act. Prepare to be surprised at how specific some of the language is—Congress really paid (and still pays) a lot of attention to what we do and how we do it—and note how inspirational it is in other places. The Act gives the Foreign Service standards to live up to and a primary place in “the conduct of the foreign affairs of the United States.” AFSA is committed to helping all members live up to the promise of the Foreign Service Act and, as always, we thank you for your service.